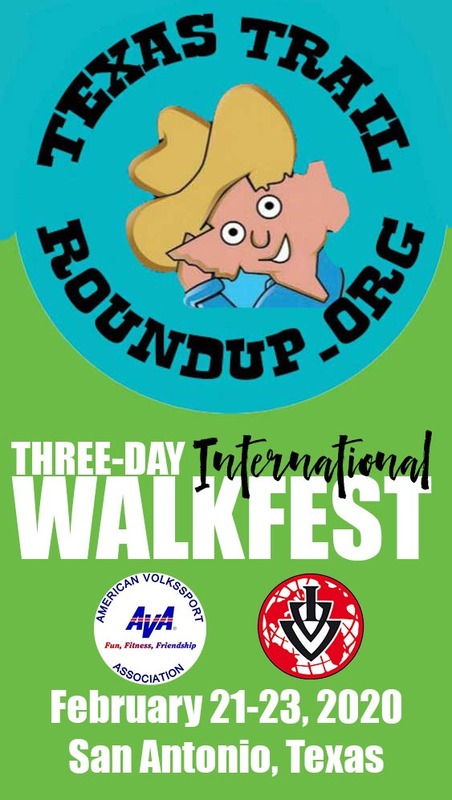 We picked the end of February for the Texas Trail Roundup because we typically have shorts-and-T-Shirt weather while the rest of the country is bundled up in boots and parkas. It’s also the closing days of the world famous Stock Show and Rodeo. But, dang it! There are a couple of miracles of nature that you’ll probably miss by just a few weeks. The largest bat colony in the world is in Bracken Cave, just north of San Antonio in Comal County. 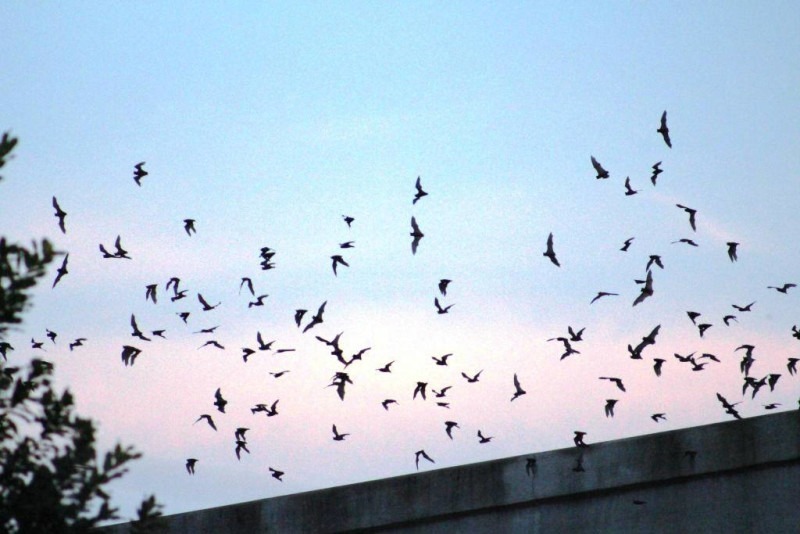 We can’t compete with Bracken Cave’s 20 million bats, but we do have our own colony of Mexican Freetail bats that live in the concrete bridge beneath Camden and Newell streets along the River Walk’s Museum Reach. 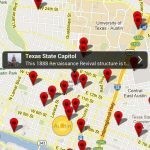 Our bats winter in Mexico and are only in San Antonio from March through October, but if they show up just a week or two early you might get to see some of our 20,000-30,000 bats emerge from a 6-inch crack in the bridge at dusk. They eat their weight in insects every night. Historian Jack Maguire wrote: “The bluebonnet is to Texas what the shamrock is to Ireland, the cherry blossom to Japan, the lily to France, the rose to England and the tulip to Holland.” Bluebonnets, designated as the official State of Texas flower in 1901, typically are in bloom from the beginning of April through May. Their bloom depends on the temperature and rainfall, however, and they have been known to show as early as the last week in February, so keep your eyes peeled. In the 1930s, when the highway system was being developed, it was noted that wildflowers were the first plants to take root in the churned up verges. The highway department decided to go with the flow and set out to sow hundreds of miles of wildflower seeds. 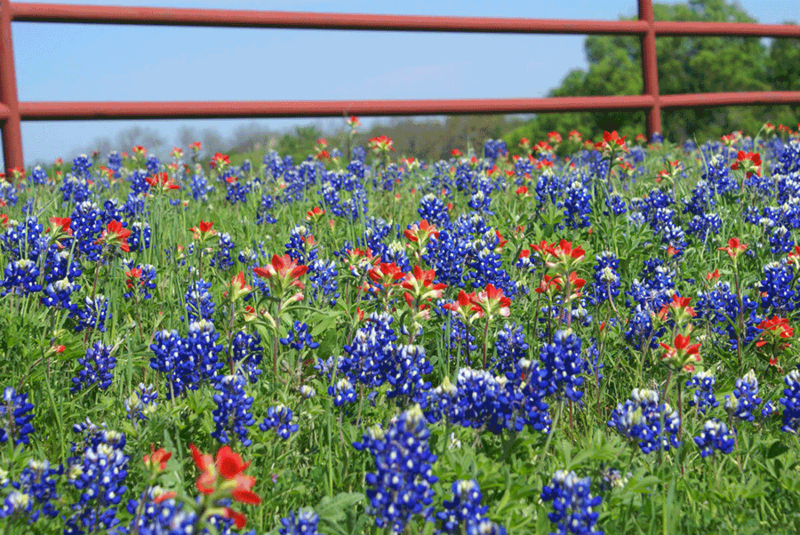 President Johnson’s wife Ladybird loves these Texas wildflowers and started an initiative to plant wildflowers near highways throughout the country.